Thank you so much everyone for all your wonderful comments! 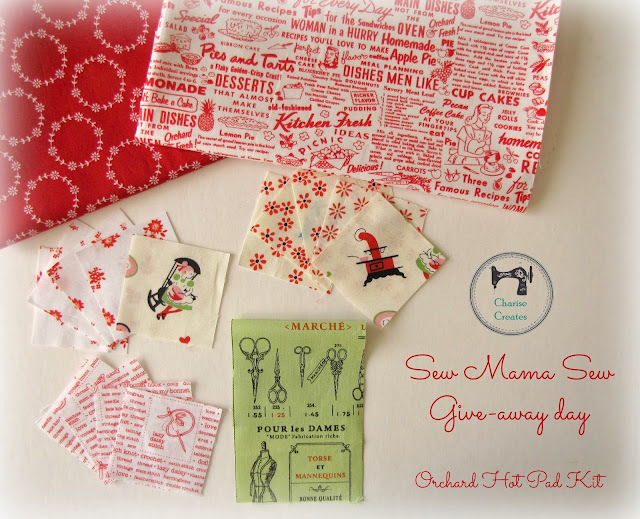 The winner of the Sew Mama Sew Give-away Is Karin @ Leigh Laurel Studios. "Wonderful Apple. I'd love to make this." Thanks Karin - I look forward to hearing from you!! Congratulations to Karin. Thank you for hosting such a lovely giveaway. That wreath/ring fabric is fabulous. Thank you so much, Charise! I can't wait to make it! !